Perfect for celebrating Christmas this year is our jubilant Happy Christmas bouquet. Expertly hand tied by our talented florists, each bouquet is arranged with festive red roses, red tulips with hypericum, a gorgeous bouquet ideal to send to family and friends. 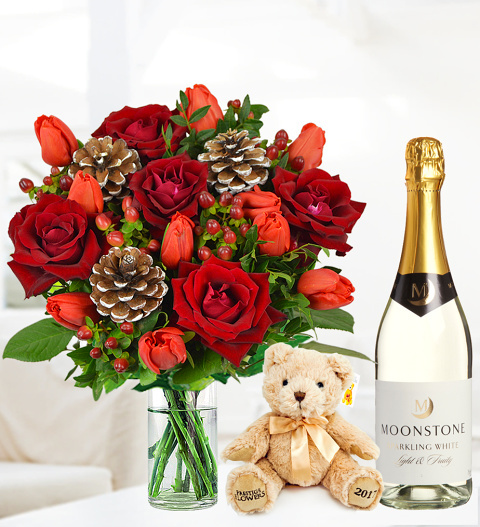 The bouquet also comes with a cuddly bear and a delicious bottle of sparkling moonstone wine 75cl. Chocolates may contain nuts.